Karen Funkenbusch presented a veterans to farmers program on Saturday, August 9th, at Lincoln University. Twenty-four veterans learned about sustainable farming ideas and resources to help them toward becoming farmers. The Missouri AgrAbility Project in collaboration with the Center for Rural Affairs also showcased our new Combat Boots to Farm Boots AgrAbility display on Sunday, August 9th; Military Appreciation Day at the 2014 Missouri State Fair. 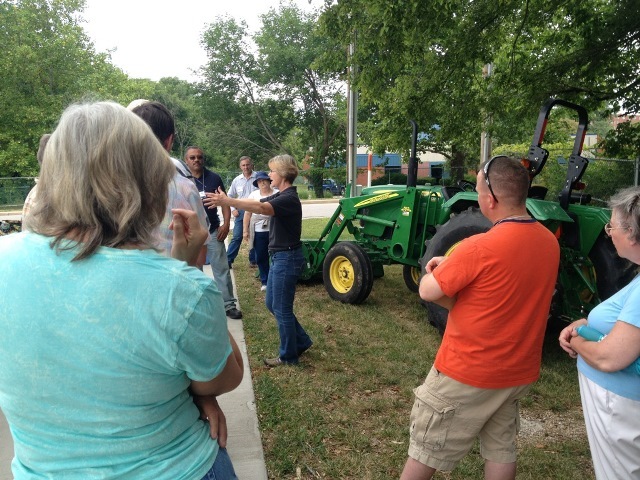 Staff members from the Innovative Small Farmers Outreach Program continued to partner with the MO AgrAbility Project. The ISFOP is a program of Lincoln University Cooperative Extension (LUCE), created to help the small farmers and ranchers of Missouri, especially those who are socially disadvantaged and under-served, to raise the level of efficiency on their farms while taking good care of the soil, water, and environment. ISFOP staff members make farmers aware of, and assist them in accessing, resources so that they may improve their farms and farming operations, which in turn improves their overall well-being. ISFOP staff also works in partnership with the University of Missouri Extension, other key state agencies, and non-governmental organizations to provide research-based information on various topics. If you have any questions contact Dr. K. B. Paul, ISFOP Program Leader, Lincoln University Cooperative Extension, at 573.681.5584 or at PaulK@LincolnU.edu. 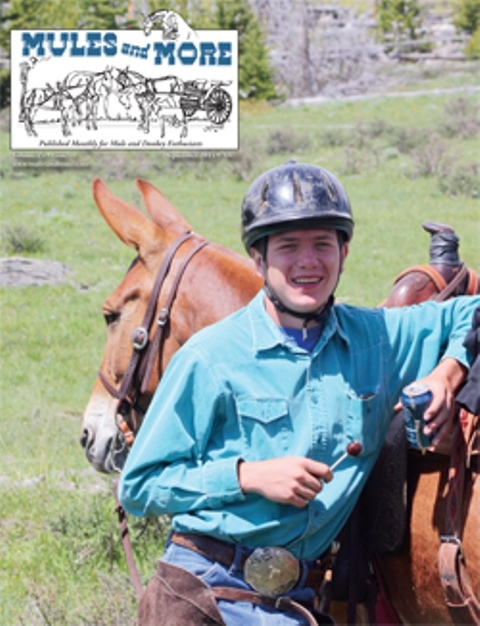 Zane Volkmann, Missouri AgrAbility client, was on the front cover of the September 2014 issue of Mules and More, published monthly for mule and donkey enthusiasts. "AgrAbility Program Helps Horse Trainer BeginRide of His Life" was the front cover story featured on pages 44 and 45. Zane Volkmann and his parents, Paula and Matthew, along with Karen Funkenbusch, director, Missouri AgrAbility Project, and Li nda Geist, MUExtension Communications, were invited as guests to attend the governor's annual ham breakfast at the 2014 MO State Fair. 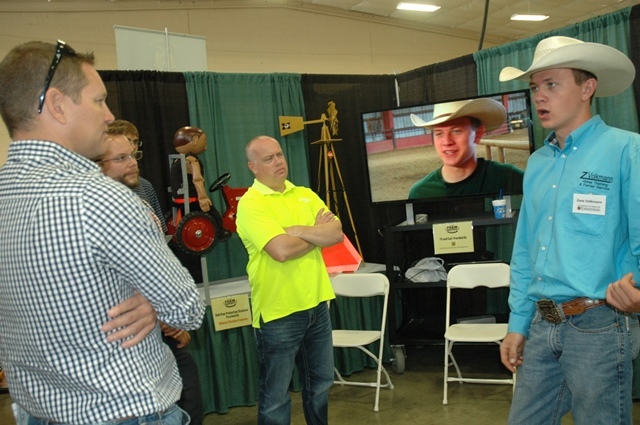 After breakfast the group went over the Show-Me Farm Safety booth to talk about the services offered by the Missouri AgrAbility Project and ways to prevent secondary injuries. The Brain Injury Association of Missouri is hosting its 10th Annual Statewide Conference on October 16 - 18, 2014, at the St. Charles Convention Center. Sessions include "Unique Needs and How to Help Military Personnel and Families Navigate the Community Provider System" with Karen Funkenbusch discussing AgrAbility. Additional sessions focus on issues impacting employment, such as skills development, rehabilitation, and behavior management with reference to rural communities.